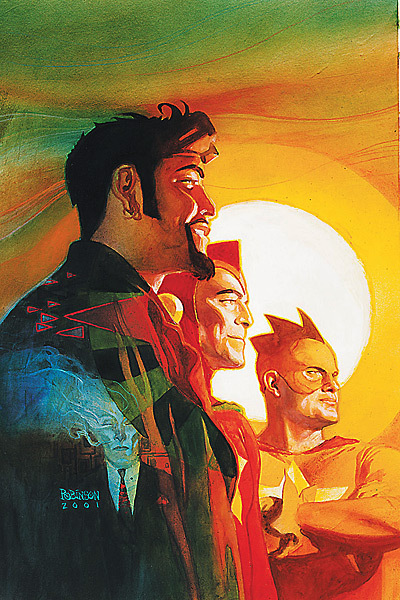 This week we’re going to take a long look at my favorite comic book series ever, Starman. Now considering the website has a serious Flash bias I can understand the confusion that statement may cause. The Flash is my favorite superhero, but the Starman series with its definite beginning and end is my favorite superhero story. The Flash in one form or another is ongoing, there are good arcs and there are bad arcs. So when you talk about a good Flash story you talk about an issue or an arc. When I talk about Starman I’m talking about the whole thing. So what is so great about this story? Well a lot of it has nothing to do with superheroes. 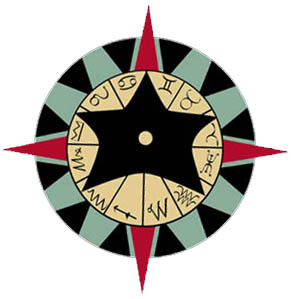 Sure it is masked in a love letter to both the Golden Age and the Silver Age of comics, but if you look deeper into Starman you can see other themes. The importance of family is one of those themes, even when you don’t get along with them. Growing up and the changes that come with growing up are another one. I won’t lie, I see a lot of myself in Jack. I will also admit that even though I’ve read through the entire series five or six times, I have cried every time I read certain issues. As a superhero story it has all of the things I loved about DC. The stories take a heavy look into past characters. Because Jack is an outsider, all this information is fed to the reader slowly, so you’re never overwhelmed by it. It celebrates Opal City and makes it iconic. I love DC’s fictional cities and I’m thrilled when a writer takes the time to really define them. Also defined are Jack’s supporting cast. As you read through the story you’ll have your own favorites, but all of them are memorable. 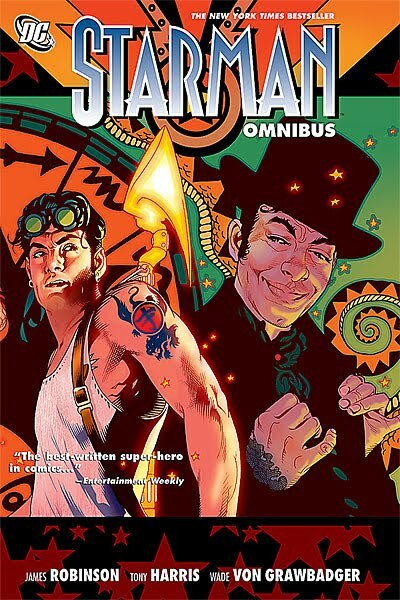 If you are new to the series you can’t go wrong with picking up the Starman Omnibuses. There are six hardcover omnibuses that collect the entire series. I understand, six 50 dollar books don’t exactly sound like an economical way to read the series. The books are beautifully put together and the contents of them are worth every penny.